In 1932 Theodore Maly, a NKVD agent, arrived in London. Two years later he was joined by Arnold Deutsch. Senior MI5 agent, Peter Wright, pointed out that Maly and Deutsch were part of a team of agents based in Europe that included Alexander Orlov, Ignaz Reiss, Richard Sorge, Walter Krivitsky and Leopard Trepper, who were committed to the idea of world revolution: "They were often not Russians at all, although they held Russian citizenship. They were Trotskyist Communists who believed in international Communism and the Comintern. They worked undercover, often at great personal risk, and traveled throughout the world in search of potential recruits. They were the best recruiters and controllers the Russian Intelligence Service ever had. They all knew each other, and between them they recruited and built high-grade spy rings." 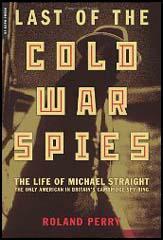 The first spy recruited was Kim Philby. Deutsch reported back to his superiors in Moscow that Philby was an excellent agent. "His father... is an ambitious tyrant and wanted to make a great man out of his son. He repressed all his son's desires. That is why he is a very timid and irresolute person. He has a bit of a stammer and this increases his diffidence... However, he handles our money very carefully. He enjoys great love and respect for his seriousness and honesty. He was ready, without questioning, to do anything for us and has shown all his seriousness and diligence working for us." The main objective of this conspiracy was to recruit people who had the potential to reach positions of power in politics or the intelligence services. Arnold Deutsch asked Philby to recommended some of his Cambridge University contemporaries as potential agents. Philby suggested Donald Maclean and Guy Burgess. By the end of 1934, with Philby's help, Deutsch had recruited both of them, telling them, like he had with Philby, to distance themselves from communist friends. Philby and Burgess actually joined right-wing political organizations such Anglo-German Fellowship. Deutsch and Maly knew that is was in these organizations where British intelligence recruited agents. Deutsch later recruited Anthony Blunt. Christopher Andrew has argued in his book, The Defence of the Realm: The Authorized History of MI5 (2009): "KGB files credit Deutsch with the recruitment of twenty agents during his time in Britain. The most successful, however, were the Cambridge Five: Philby, Maclean, Burgess, Blunt and Cairncross.... All were committed ideological spies inspired by the myth-image of Stalin's Russia as a worker-peasant state with social justice for all rather than by the reality of a brutal dictatorship with the largest peacetime gulag in European history. Deutsch shared the same visionary faith as his Cambridge recruits in the future of a human race freed from the exploitation and alienation of the capitalist system. His message of liberation had all the greater appeal for the Five because it had a sexual as well as a political dimension. All were rebels against the strict sexual mores as well as the antiquated class system of inter war Britain. Burgess and Blunt were gay and Maclean bisexual at a time when homosexual relations, even between consenting adults, were illegal. Cairncross, like Philby a committed heterosexual, later wrote a history of polygamy." Kim Philby was very impressed with Arnold Deutsch and later recalled: "He (Deutsch) was a marvellous man. Simply marvellous. I felt that immediately. And the feeling never left me... The first thing you noticed about him were his eyes. He looked at you as if nothing more important in life than you and talking to you existed at that moment... And he had a marvellous sense of humour." In May 1937 Deutsch recruited John Cairncross. He contacted headquarters in Moscow and reported that Cairncross "was very happy that we had established contact with him and was ready to start working for us at once". Anthony Blunt introduced Deutsch to Michael Straight the following month. Deutsch reported: "Straight differs very much from people we have dealt with before. He is a typical American, a man of wide-ranging enterprise, who thinks he can do everything for himself.... He is full of enthusiasm, well-read, very intelligent, and a perfect student. He wants to do much for us, and, of course has all possibilities for this.... But he also gives the impression of being a dilettante, a young guy who has everything he wants, more money than he can spend, and therefore in part who has a restless conscience.... I think, under experienced guidance, he could achieve a lot. However, he needs to be educated and to have control over his personal life. It is precisely contact with people in his future profession which may turn out dangerous for him. So far, he has been an active member of the party and constantly surrounded by his friends." In December 1936, Nikolai Yezhov established a new section of the NKVD named the Administration of Special Tasks (AST). It contained about 300 of his own trusted men from the Central Committee of the Communist Party. Yezhov's intention was complete control of the NKVD by using men who could be expected to carry out sensitive assignments without any reservations. The new AST operatives would have no allegiance to any members of the old NKVD and would therefore have no reason not to carry out an assignment against any of one of them. The AST was used to remove all those who had knowledge of the conspiracy to destroy Stalin's rivals. One of the first to be arrested was Genrikh Yagoda, the former head of the NKVD. Within the administration of the ADT, a clandestine unit called the Mobile Group had been created to deal with the ever increasing problem of possible NKVD defectors, as officers serving abroad were beginning to see that the arrest of people like Yagoda, their former chief, would mean that they might be next in line. The head of the Mobile Group was Mikhail Shpiegelglass. By the summer of 1937, over forty intelligence agents serving abroad were summoned back to the Soviet Union. Richard Deacon, the author of A History of the Russian Secret Service (1972) has pointed out: "If Yagoda had been ruthlessly oppressive, Yezhov was even more drastic in his measures. He not only appointed more than three hundred new heads of departments, executives and agents, but ordered a drastic purge of the overseas networks of the Soviet Secret Service such as had never been carried out before. It was an attempt, mainly inspired by Stalin, to ensure that the last of the old-time revolutionaries with independent views were liquidated. Stalin developed a phobia against the internationalist, idealist type of Communist and all answering to this description were ruthlessly expelled and destroyed. At the same time he also turned against the Jewish agent, equating him with the internationalist, and declaring again and again that a Russian Jew was a Jew first and a Russian second and that a Jewish Communist was merely another man to be shadowed and distrusted." In July 1937, Alexander Orlov heard that his cousin, Zinovy Borisovich Katsnelson, a high-ranking NKVD officer, had been executed. Later that month he had a meeting with Theodore Maly in Paris, who had just been recalled to the Soviet Union. He explained his concern as he had heard stories of other senior NKVD officers who had been recalled and then seemed to have disappeared. He feared being executed but after discussing the matter he decided to return and take up this offer of a post in the Foreign Department in Moscow. Another friend, Vladimir Antonov-Ovseenko, was recalled in August. Maly and Antonov-Ovseenko were both executed. Ignaz Reiss was an NKVD agent serving in Paris when he was summoned back to the Soviet Union. Reiss had the advantage of having his wife and daughter with him when he decided to defect to France. In July 1937 he sent a letter to the Soviet Embassy in Paris explaining his decision to break with the Soviet Union because he no longer supported the views of Stalin's counter-revolution and wanted to return to the freedom and teachings of Lenin. Orlov learnt of this letter from a close contact in France. Reiss was found hiding in a village near Lausanne, Switzerland. It was claimed by Alexander Orlov that a trusted Reiss family friend, Gertrude Schildback, lured Reiss to a rendezvous, where the Mobile Group killed Reiss with machine-gun fire on the evening of 4th September 1937. Schildback was arrested by the local police and at the hotel was a box of chocolates containing strychnine. It is believed these were intended for Reiss's wife and daughter. Alexander Orlov was ordered back to the Soviet Union by Joseph Stalin in July 1938. Aware of the Great Purge that was going on and that several of his friends had been executed, Orlov fled to France with his wife and daughter before making his way to the Canada. Orlov was concerned that his mother and mother-in-law, were still living in the Soviet Union. He sent a letter to Joseph Stalin (a copy was sent to Nikolai Yezhov, the head of the NKVD). He warned that an account of Stalin's crimes were lodged with his attorney and should he, or any member of his immediate family, be kidnapped or murdered by the NKVD, his attorney was under instruction to have the record of Stalin's crimes published immediately. Orlov arrived in New York City on 13th August 1938. Walter Krivitsky also managed to get to the United States and with the help of Isaac Don Levine, published I Was Stalin's Agent (1939). Krivitsky was found dead in the Bellevue Hotel in Washington on 10th February, 1941. At first it was claimed that Krivitsky had committed suicide. However, others claimed his hiding place had been disclosed by a Soviet mole working for MI5 and had been murdered by Soviet agents. Whittaker Chambers definitely believed that he had been killed by the NKVD: "He had left a letter in which he gave his wife and children the unlikely advice that the Soviet Government and people were their best friends. Previously he had warned them that, if he were found dead, never under any circumstances to believe that he had committed suicide." Krivitsky once told Chambers: "Any fool can commit a murder, but it takes an artist to commit a good natural death." Joseph Stalin took Orlov's warning seriously and no NKVD agents were sent to kill him. Stalin died on 5th March, 1953. He submitted his manuscript to Life Magazine and the first of the four articles, The Ghastly Secrets of Stalin's Power, appeared on 6th April. The article created great controversy and was discussed in great depth in the American media. With each successive installment, the circulation of the magazine reached new heights. 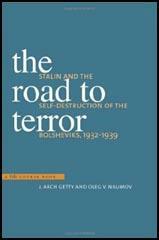 Orlov's book, The Secret History of Stalin's Crimes, was published by Random House in the autumn of 1953.